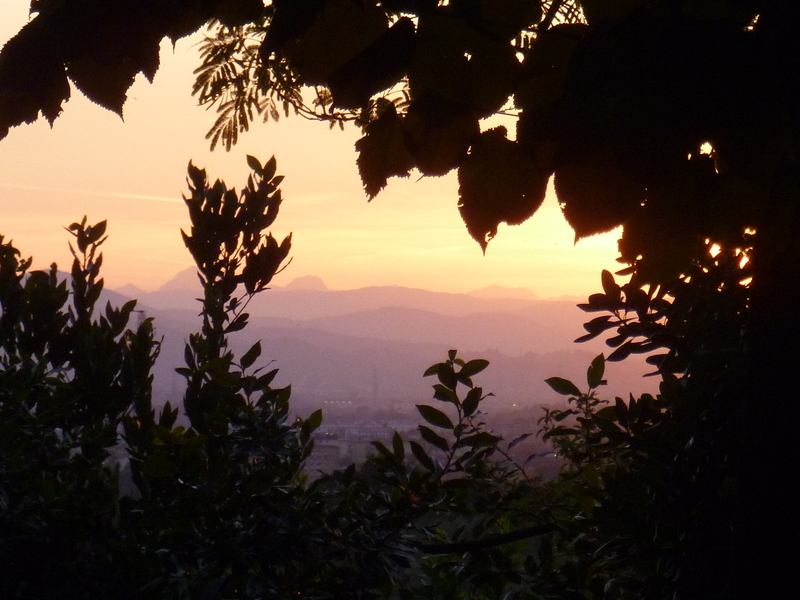 On June 1, we moved into our new apartment, half a house above Scandicci, a suburb of Florence. It is very comfortable, and our hostess, Lucia, is very warm and willing to put up with my stumbling Italian. El 1 de junio, nos mudamos a nuestro nuevo apartamento, media casa encima de Scandicci, un suburbio de Florencia. Es muy cómodo, y nuestra anfitriona, Lucía, es muy cálido y aguanta mis esfuerzs para hablar italiano. 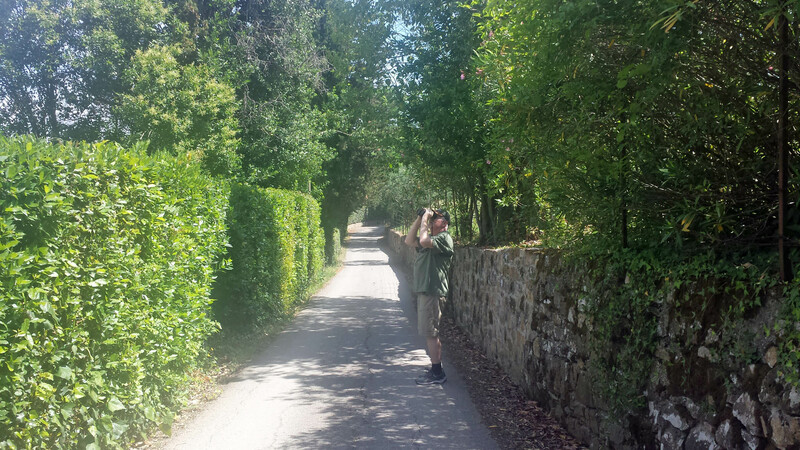 We went for a walk in the neighborhood along the narrow road. Fuimos a dar un paseo por el barrio a lo largo de la calle estrecha. Later we watched the sunset. Más tarde vimos el atardecer.